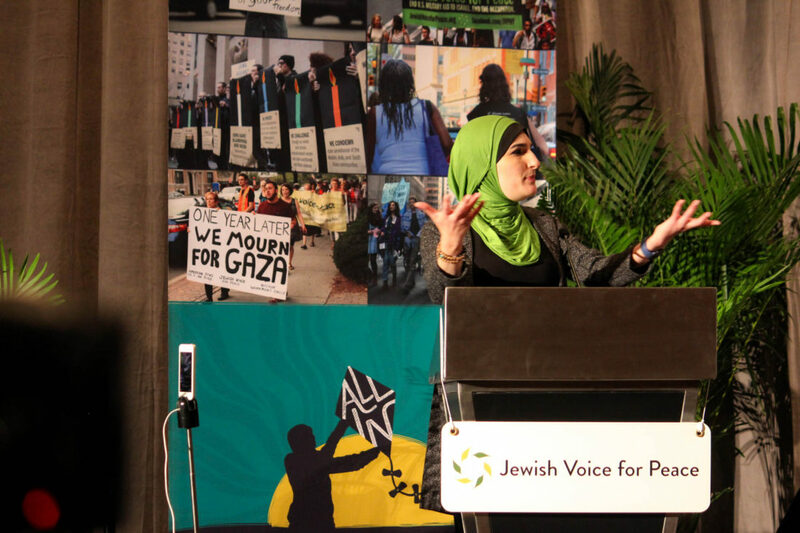 New York City (May 2, 2017) – Jewish Voice for Peace – New York City commends the CUNY Graduate Center School of Public Health for honoring Linda Sarsour with an invitation to speak at this spring’s commencement ceremony. Ms. Sarsour has dedicated her life to combating racism and xenophobia and to creating a just world in which all people can thrive. Time and again, JVP has been honored to partner with, and learn from, Ms. Sarsour. The lessons of her leadership, wisdom, and strength in the face of racism, sexism, and Islamophobia are exactly what graduates need to hear. We can think of no one better suited to inspire the graduating class of 2017. The hateful rhetoric that has long targeted Ms. Sarsour has skyrocketed since her role as a co-organizer of the Women’s March. The unfounded claim that Ms. Sarsour is ‘anti-semitic’ is rooted in racism, Islamophobia, and a conflation between real anti-semitism and criticism of the state of Israel. As an organization inspired by Jewish values and traditions, JVP-NYC will always stand by Ms. Sarsour. She exemplifies what deep interfaith partnerships look like and what they can accomplish. JVP-NYC lauds the CUNY School of Public Health for their decision to honor Ms. Sarsour, and will continue to fully support our esteemed Muslim allies in the struggle for a better and more just world. Jewish Voice for Peace–New York City is a chapter affiliated with the national, grassroots organization inspired by Jewish tradition to work for a just and lasting peace according to principles of human rights, equality, and international law for all the people of Israel and Palestine. Jewish Voice for Peace has over 200,000 online supporters, over 65 chapters, a youth wing, a Rabbinic Council, an Artist Council, an Academic Advisory Council, and an Advisory Board made up of leading U.S. intellectuals and artists.